August 7, 2015 August 24, 2015 ~ Trevis Dampier Sr. So like I said, it’s Friday and we are starving and ready to dive into some Peruvian food. We walk into Isabella’s in San Jose, Ca and immediately I feel like we had arrived in a different country by the authentic Peruvian atmosphere they provide in the restaurant. They have Latin music playing in the background, beautiful bright vibrant walls with Peruvian art work all over the place and beautiful red curtains to match. We sit down and look at Yelp to get an idea on what to order since this is a first for both of us. 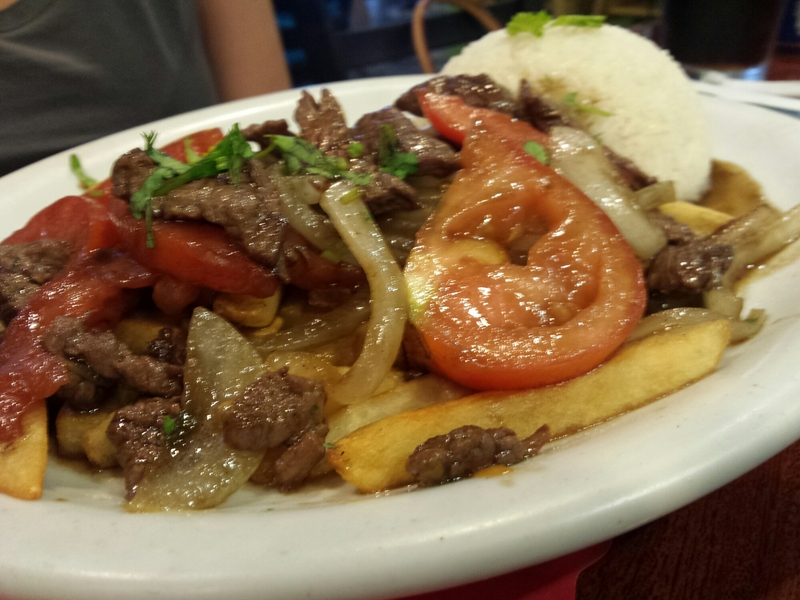 She orders the Lomo Saltado which is top sirloin strips sauteed with onions tomatoes, french fries and rice. As for me, I’m going with the Tacu Tacu con Carne which is steak with bean mixed with rice and salad. 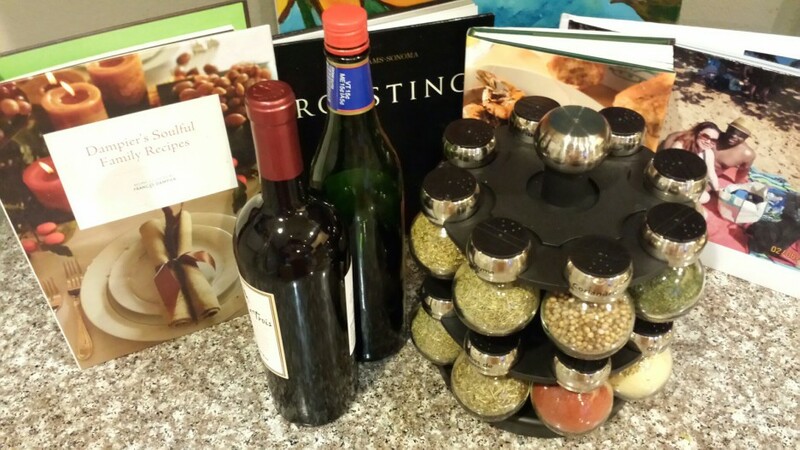 These artistic mesmerizing dishes of love posed for my camera like a showgirl in Vegas.. I dive right into this crunchy top layer of the rice first while the steak keeps winking at me..Calling me. Teasing me.. Instant flavor from the beans and rice! Then I dive into the steak and it is cooked at a perfect medium! Super juicy! Succulent and flavorful! 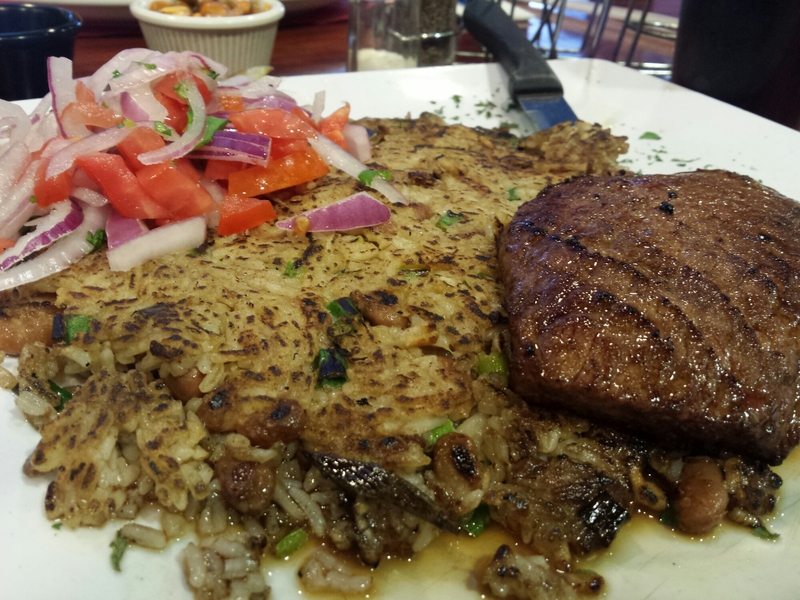 I take a bite of Virginia’s dish and the top sirloin is out of this world! It literally melts in your mouth as soon as it hits your tongue.. Combine that with french fries and rice and you got yourself a meal created from the Heavens…. True live action eating! Good job Isabella’s! If you have never tasted Peruvian food then I suggest you find the local one near you and head there quickly. I promise you that you won’t regret it! < Previous You’ll need a go-cart to make it around the Festival of the Arts! Next > The Pizza Box will knock you off your socks!